The floods in Manila accentuate the misery and suffering of city dwellers– leptospiroses, sudden spike in the prices of basic commodities, stranded commuters, city at standstill yet burning fuels by the barrels, contaminated water, enterprising street urchins propping up wooden gangplanks on submerged city streets to fleece few pesos from pedestrians crossing by, shanties both overfilled and washed out –and children wailing. But Manila, its environs and its people will surely bounce back after these floods– its beautiful sunset will be seen again at its bayside; its warm and gorgeous people will not permit this disaster and the unjust appendage of their city, dampen their jovial spirit once the crisis is over. Which brings us back to Dan Brown.. The movie Da Vinci Code, starring Tom Hanks, as Robert Langdon, a symbology Professor from Harvard, was never shown in theaters of Metro Manila because it suggested that Jesus Christ was married to Mary Magdalene and certain Kings of France were descendants of Jesus Christ. The movie was based on the novel of Dan Brown, with the same title. The oversensitive Catholic Pinoys must have considered the movie a “heresy” or “blasphemy,” hence it was banned from the country. Author Brown came up with another novel which was made into a movie again, “Angels and Demons.” The novel is immersed in religious history, catholic practices, including its medieval crimes. I have not heard if this movie was banned from Philippine theaters too, but I found both movies highly provocative and enriching. Mr. Brown, was in the crosshairs of Pinoy officials again because his latest novel, “Inferno,” made a figurative reference to Manila as the “gates of hell” for its prostitution, overpopulation, traffic snarl and fumes, and crimes. The reference was never meant to disparage Manila and its people. It was intended as a wake up call to address the issue of overpopulation and the myriad problems it brings. It was addressed to the whole world besets with the ethics of culling the population to preserve humankind. 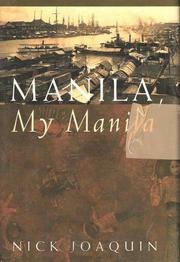 The author must have seen the congestion in Manila and its pitiful shanties more pronounced, hence he uses the city as a model. The language doesn’t sound like coming out from the mouth of a heretic. His reference to Manila as “gates of hell” was lost in translation because we are lazy to read the novel entirely. We judged the author by reading the subtext. We fear the dark, because we purposely shun the light. “The post-EDSA era has been as debatable in Manila as in the rest of the country with the “prophets of boom” saying we’re on the go while the political morticians claim we’re in extremis. A “dying city” is how Manila is viewed by those appaled by the mounting garbage problem and the transport crisis. But the high-rises multiplying not just in the glossy bayside area but in slum dumps like Tondo and San Nicolas indicate it’s not yet time for the oration by the graveside. Manila was written off by Quezon in 1930s; the Japs thought to kill it off in 1945; and Mother Nature is still trying to sink it with temblor, tide and typhoon. No go: it’s still on the go. The Noble & Loyal insists on being a survivor – by the skin of of its teeth. Even from Marcos limbo it managed to win a boon: the Light Rail Transit. And the transport crisis may impel the reactivation of the Pasig as a super highway. The point is: how talk of dying while action stirs reaction? The history of Manila can be put in three words: challenge and response. It almost seems as if every problem, every crisis, arises just to prove the aliveness of this city; continually destroyed and continually rebuilt, ever decaying and ever re-greening. Like Troy, which was sevenfold, Manila has been many cities and will be many more. Like every great city, Manila sprang from a wildernesss of question marks. Legazpi was not the beginning nor yet Soliman. Soliman’s palisaded kingdom was certainly not the first on the site; the indications are that it was a recent foundation, by newcomers. What settlement stood there previously, and how many such had come and gone before Soliman’s fence, we may never know, but what we now know as Intramuros continues to be the ‘original’ Manila, meaning the basic ground of a city that has been pagan, Muslim, Christian; that has been Malay, Spanish, Filipino. The city was, is, and will be larger than these terms, even if reduced back to the original space of ground from which it began, from which it will always begin. Should atomic war annihilate Manila, survivors, if any will one can bet, automatically start rebuilding on that same tongue of land where the River flows into the bay. Both Soliman and Legazpi built there and they could only have been following in the footprints of those who, through the ages, like the makers of Seven Troys, had been building and rebuilding on that original site. Absence from Mr. Joaquin’s unparalled optimism is the shanty towns that girded the esteros of the metropolis – always overfilled with people and easily washable. Or is it their being washable unto the Pasig river that he indirectly did not address the issue of overpopulation? After all, Brown’s Inferno refers to natural disaster as one of those that has the capacity to limit the size of the population of any given culture, aside from famine, wars and plague…. 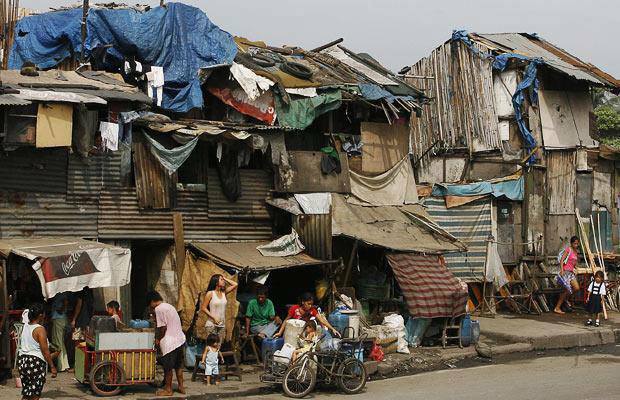 ← Manila: “Gates of Hell,” — No, It’s Hell Itself! The over population is causing the land masses to sink, the earthquake, the floods according to World Bank; the severe hardships from global warming could be felt within generation. A study detailing devastating impacts in Africa and Asia, Southeast Asia of food shortage drought including agriculture water resources, coastal erosion. The impact of two-degree warming by 2040s would have grave and sweeping consequence, it said, hard to bounce back each coming year. I’ll be gone by then I hope. We prefer to honor lots of other world-wide-web internet sites around the web, even when they aren�t linked to us, by linking to them. Underneath are some webpages really worth checking out. I know that the Da Vinci Code had been shown in Manila albeit it’s with an R-18 rating. I enjoyed your post, btw.